Last year November I was invited to a beauty award and it was so much fun. Only beauty salons were allowed to enter this competition. 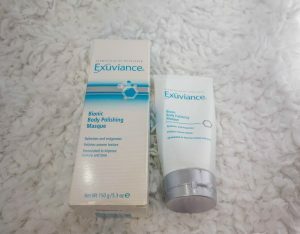 and it was at this place that I was recommended Exuviance ‘bionic body polishing masque’. They recommended me this because for several reasons. Let me explain what it is and what it does. It’s a creamy body polish that creates a new canvas for the skin, prepared for maximum hydration and absorption of ingredients in subsequent exuvance moisturizers. Gently massage on wet skin, avoid the face and sensitive area’s. Focus on rough skin like elbows, knees and even heels. Leave it on the skin up to 2 min and rinse thoroughly, don’t use it on inflamed skin. In short, I use it in the shower, so while the creme is doing it’s magic I do my hair. Massaging this is actually kind of nice due the small granules blended in the creme. 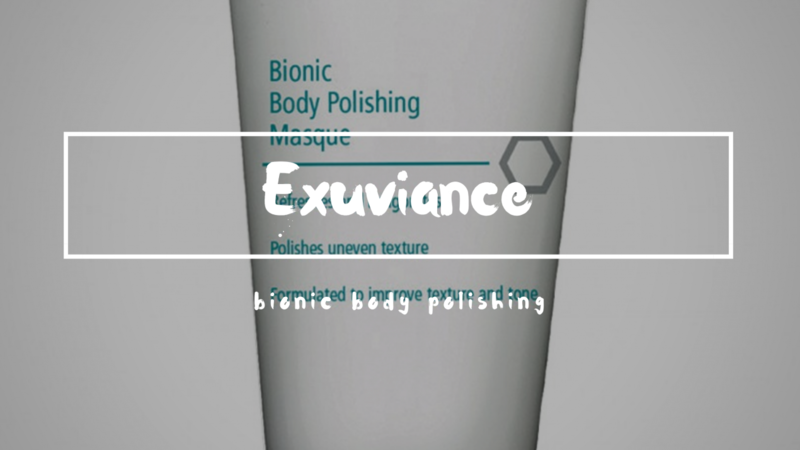 The body polishing masque polishes the skin to silky smoothness, a good start right? with plant-based exfoliating beads, retexturing rough skin and loosening dull dead skin. Patches impurities without scratching and stimulates cell renewal to reveal glowing, radiant skin. The Bionic blend plus Antioxidants, Vitamins A and E complete lightly hydration with a slight sence of citrus and floral notes. It’s for several reasons that I like this product. My elbows are super soft and everything I put on my skin absorbs so much better now. So it’s a great add in my collection of preparation. The rest of my body is super soft, those dry spots and accumulations are barely there. It better be because it’s not that cheap and you can only get it at a beauty parlor. Is it worth the price? I would say yes. It peels, softens, and gives a boost and afterwards your skin absorbs the next product.